Note: This is the bound book only and does not include access to the Enhanced Pearson eText. To order the Enhanced Pearson eText packaged with a bound book, use ISBN 0134479424. 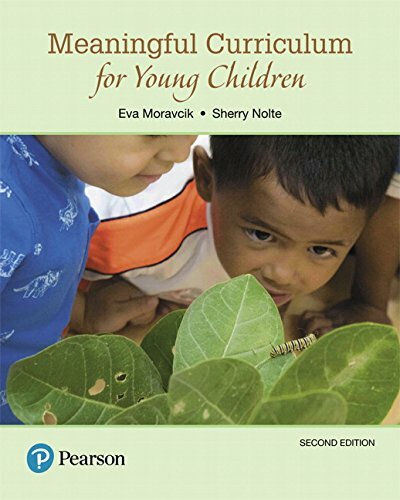 This child-centered approach to understanding and planning curriculum focuses on humanistic and progressive education pedagogy in preschool and primary grades. The authors stress a curriculum that is joyful, has meaning to children, is built upon children’s strengths, has intellectual integrity, uses developmentally appropriate pedagogy, and encourages teachers to be passionate learners along with children. The book’s personal tone, many practical examples, step-by-step lesson planning process, and children’s art and photographs of children bring the content to life. The new edition features updating throughout and a number of new features that add to the understanding and usefulness of the concepts, among them: Some things to saysections, end-of-section self-check digital quizzes with feedback, refreshed videos, end-of-chapter Explore and Experiencesections, new children’s art and photographs of children, new improved lesson planning formats, more examples of integrated curriculum, new sections on teaching curriculum to two-year-olds, and a new connection to current national subject area standards throughout.